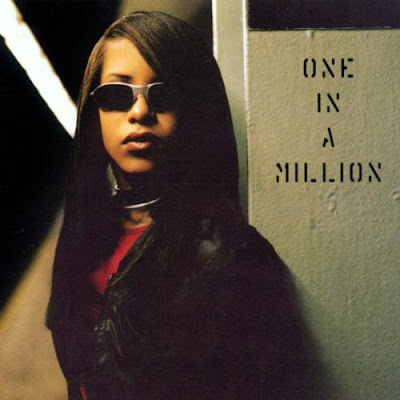 Here we have Aaliyah's second studio album release One In A Million. After facing allegations of her illegal marriage with R.Kelly, Babygirl publicly announced ending her contract with Jive Records. The album had a variety of producers including the likes of Timbaland, Missy Elliot and Jermaine Dupri. Personally this has to be one of my favorite albums of all time. Song after song, there is no need to skip a track, since each song delivers something unique in terms of the lyrics and the overall growth of Babygirls music. This album truly shows where she was finding herself both musically and as a person. As we can see, still staying true to her tom-boyish roots, she added a certain quirkiness of her feminine charm to the table, where we really see her maturing into the lovely woman that she always was. The album produced six singles which were If Your Girl Only Knew, One In A Million, Got To Give It Up, 4 Page Letter, Hot Like Fire and The One I Gave My Heart To. The production process of it was mainly down to Missy Elliot and Timbaland who wrote and produced a majority amount of the album content. Fifty seven songs were recorded in total for the album, but most of them were cut from the final product. One of those tracks included one called Sugar & Spice, which was the very first track Aaliyah recorded with both Missy and Timbaland. However, due to label disagreements with the song it never made the final cut. Another track that was meant to be included on the album was I Care 4 U, which was never completed in time for mastering. It was however later included on Babygirls third studio album titled Aaliyah. All in all...this album is definitely 'One In A Million' which no one can compare to. Even the Intro and Outro on the album had a certain 'spark' where I could imagine it being longer in duration like a full track. Timbaland really worked his magic here, and in a sad way I feel as though since Aaliyah had passed away, his drive for music was never the same, almost as if something was missing. I have a lot of respect for the man, but I wish he could go back to the style which set him apart from everyone else out there in the first place, rather than opting for the current mainstream alternative, which quite frankly sounds too generic. Oh well...we can always have hope. Music critic Dream Hampton for Vibe Magazine said that Aaliyahs "deliciously feline" voice has the same "pop appeal" as Janet Jackson's and is complemented by the producers "funky, coherant" tracks. Q magazine said that, with "her smooth, sweetly seductive vocal firmly to the fore, [Aaliyah] works through a set of predominantly slow and steamy swing-beat numbers, all clipped beats, luxurious melodies and dreamy harmonies". Slant Magazine said that it is "undoubtedly one of the most influential R&B albums of the '90s," and credited it for establishing "Aaliyah and the Timbo family as undeniable Hip-Hop forces."